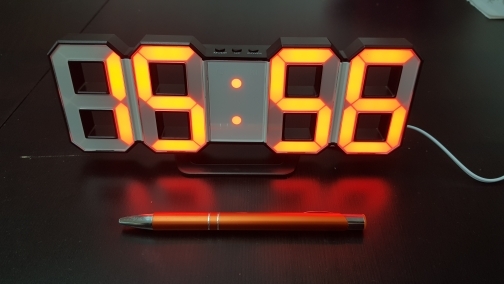 EASY READ, LARGE LED DIGIT WITHOUT BLINK – With it’s large and bright display, this clock can be seen from anywhere in the living room, easy to read for all age group in far distance. 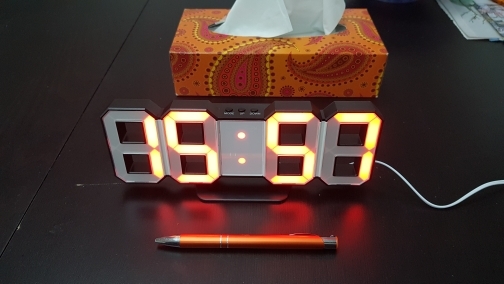 Great LED light alarm clock for those that get up in the middle of the night and need some brightness. See clearly whenever you need to know the time in your room. 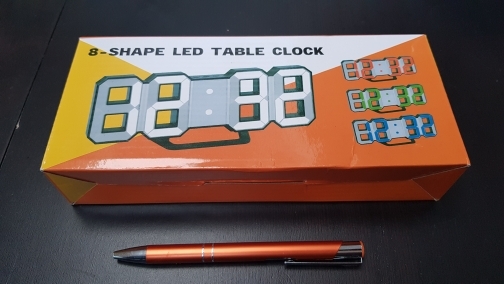 3 ADJUSTABLE BRIGHTNESS LEVELS – High brightness with 3 Steps Dimmer Control (High, Medium, Low) . You can read the time day or night from a wide angle,The clock will dim about 20% automatically during 6:00p.m— 6:00a.m. With LED light-absorbing technology, the light is more saturated and environmental protection. USB POWERED AND SETTINGS BACK UP – Powered by USB and lithium cell battery for power outage backup. Universal White USB Cable with 1m cord length. 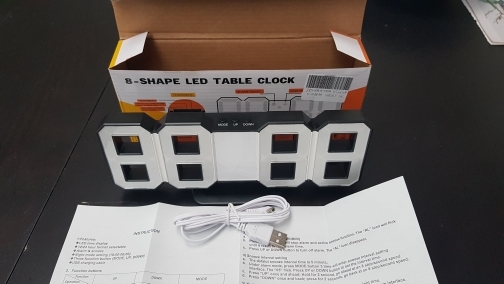 USB cord can be used with AC adapter (AC adapter not Included) Lithium Cell Battery (included) will help the clock back-up all settings automatically when USB power off. But time function will not stop, just you can not see numbers on screen and alarm function will not work. SNOOZE FUNCTION- The snooze function allow you catch a little extra shuteye. Snooze Alarm gives you few minutes wake up delay. Freely in 5-60 minutes settings. SIMPLE AND CONCISE DESIGN – Easy to install and convenient to use, comes with wall mount holes and stand for you to use with ease. Contemporary design, fits well in any modern or contemporary environments, especially for places like sitting room, garage, kitchen room and corporate offices. Nice product. The large digits are readable from a great distance and or without glasses. There are 3 brightness settings, so you can tune it down for the bedroom. But note that no power adapter is included, only a power cable with usb connector.